From the first few notes, it sounds like the real thing. Piano and bass riff hard. Percussion enters. ¡Oiga Papa! Listen up! The trombones come in thick and strong. 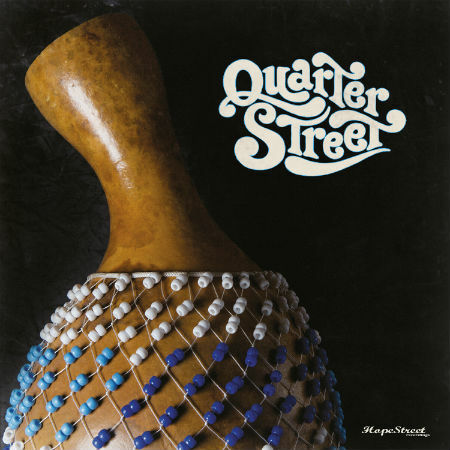 “Fantasía”, the first song on Quarter Street’s self-titled LP is authentic ‘salsa dura’ from the old school. .
There’s been a lot of rough and real analog funk, soul and Afro vinyl material released in the last couple of decades, from the Dap-Kings and Antibalas in New York to the Poets of Rhythm in Germany. So far, few have flown the flag for the revival of hard-out analog era Latin music. Quarter Street are doing it. Salsa dura was born on the mean streets of New York in the 1970s, now it’s back. Quarter Street take their cues from the giants: Eddie Palmieri, Ray Barreto and Willie Colon and the seminal record labels Fania and Tico Records and charge straight ahead at the 21st century. The time is right.